In 1979, when Gerald F. Kein founded the OMNI Hypnosis Training Center in Florida, USA, he did not know that he would sustainably change the world of hypnosis. As a 13-year old he already learnt directly from Dave Elman, the probably most significant hypnotist of the 20th century. But no one could possibly know that his name would one day stand for cause-oriented, revealing hypnosis education and hypnotherapy in Europe, Asia, South America and even in Africa. 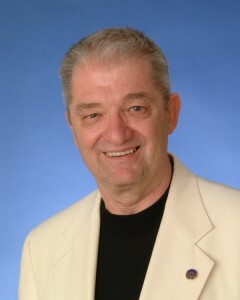 OMNI and Gerald (Jerry) Kein have since 1979 been a symbol for effective, efficient and sustainable hypnosis methods and techniques which are taught in over 20 different locations across the world. Often copied but never really reached: increasingly more people discover this easy and applicable technique for their practice or as a therapy to solve personal issues and tackle personal challenges. It was Jerry Kein who not only refined and complemented the methods of Dave Elman but actually kept them alive through the 70s, 80s and early 90s. Afterwards the name Dave Elman became widely known and OMNI maintained the core of his teachings. However Jerry Kein further ingeniously refined and structured them so that they can be used in processes. Thus the quality of hypnosis could be increased significantly. As a result much less is left to chance or to the skill of the user. In 2012 this process was even further refined by Hansruedi Wipf and it was certified according to ISO 9001 as the worldwide first hypnosis process ever in March 2015.